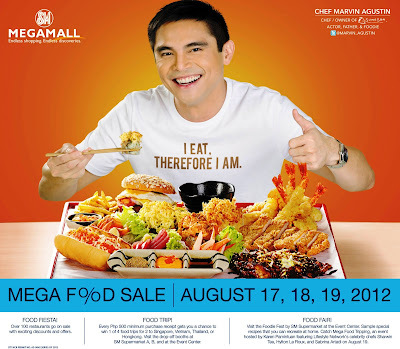 Once again, SM Megamall's Mega Food Sale is back and now bigger and better! 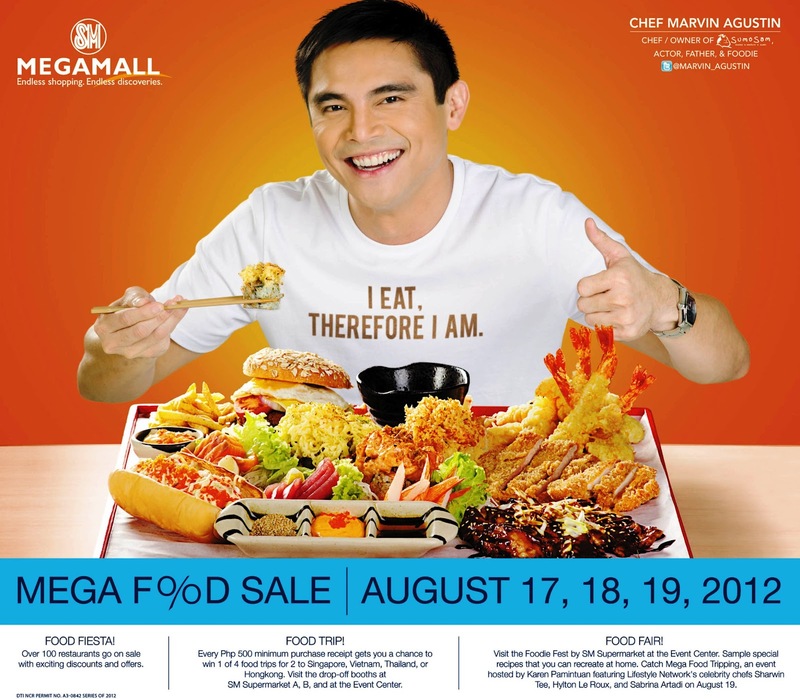 Introducing the ULTIMATE FOOD TRIP, you can feast at over 100 dining establishments on sale this Friday, August 17 to 19, 2012. 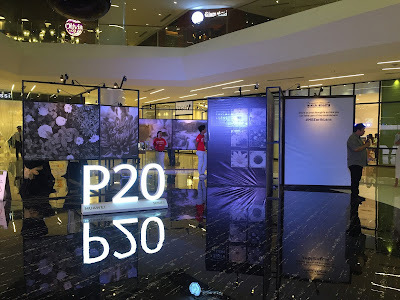 I can't wait for Friday to come since my work is just a stone throw away from SM Megamall. So anyway, you can get huge discounts and promos on their delicious offers. But of course, SM would also want your dining experience more exciting. That's why you can get a chance to win an all-expense paid food trip to exciting destinations like Hongkong, Singapore, Thailand, and Vietnam! Aside from the Mega Food Sale, SM will also be having a Foodie Fair with SM Supermarket and the Lifestyle Network at the Event Center. Sumptuous food plus a fair of only the most delectable goodies will definitely make me dash at SM Megamall once our lunch time begins and after the work week. This is a good way to rev up your long weekend. Free Seafood Jambalaya for a minimum receipt of P500 (that's P395 in savings!). Free appetizer set; (2) bottomless lemonades for every order of (2) Katsu sets and All-day bottomless Miso soup for every Katsu set. Are you as psyched as I am? This is one delicious event you definitely shouldn't miss! To know more about the Mega Food Sale, please do check out SM Megamall's Facebook Page and Twitter Account for updates and to win delicious free treats! Per DTI NCR Permit No. A3 – 0842 Series of 2012.